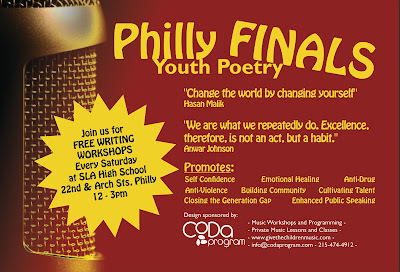 In Philly, the weekend belongs to the youth poetry movement. Friday night is the Finals for the Brave New Voices National Slam Team. This year the national competition is in Los Angeles. Sat night is Youth Poetry Night at the Rotunda. 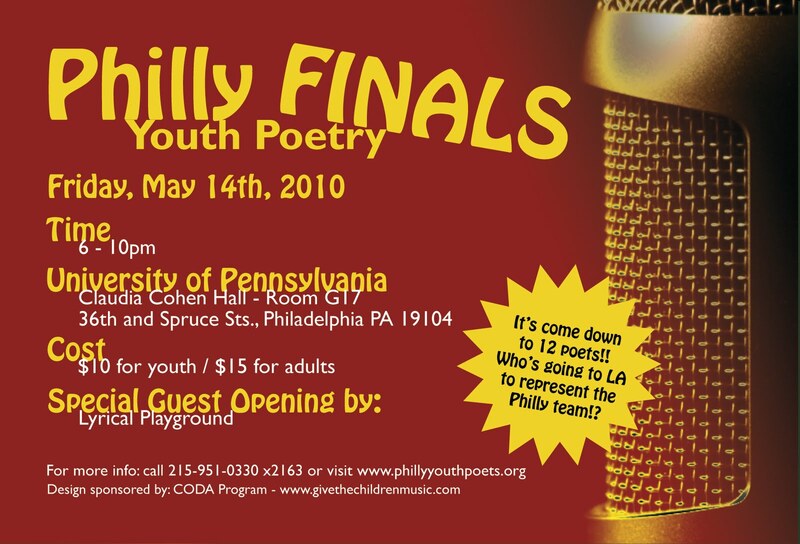 The youth poetry scene is electric in Philly--check it out if you can. 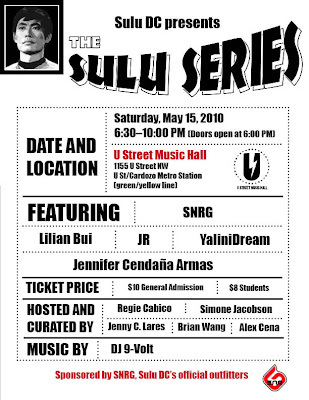 Sat night in Washington DC, our friends at SULU DC are putting on another amazing show--and they're at a bigger and better venue! 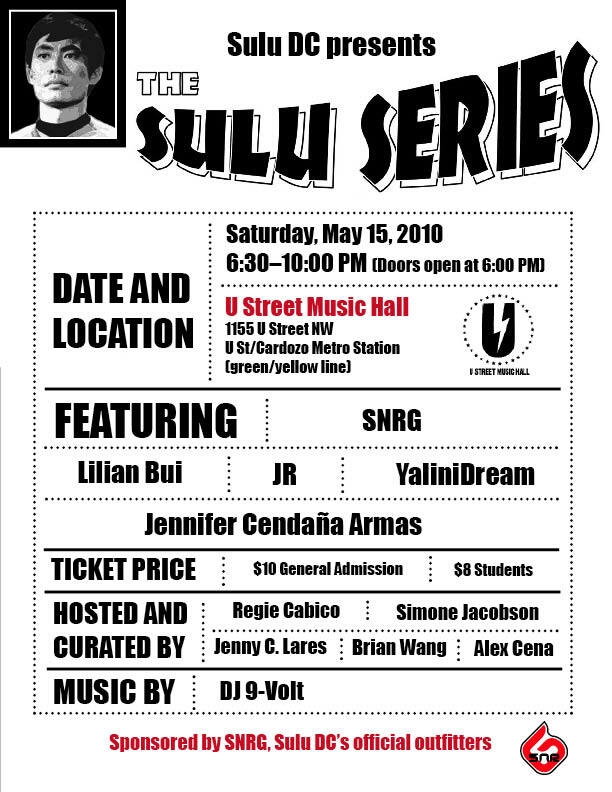 This month, the hip hop group SNRG is featuring. I love their tracks "Hello World" and "Where Did You Go?" Please support if you're in the DC-area. Please refer to the flyers below for info.